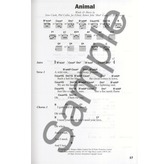 The Big Guitar Chord Songbook contains chord symbols, chord boxes as well as full lyrics for 70 Classic Rock classics. With their crunchy riffs, powerful lyrics and driving rhythms, every song included here is rockin' enough to surely bring the house down. 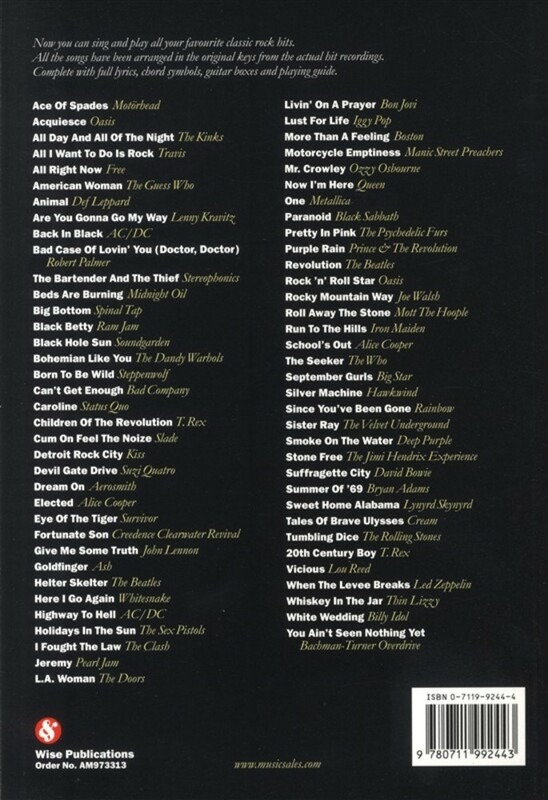 All of your favourite Classic Rock hits are arranged here in their original keys from the actual recordings. Tunes like Back In Black, Ace Of Spades, Whiskey In The Jar, Purple Rain and Livin' On A Prayer represent the best of that sound of an electric Guitar plugged in to a Marshall stack, whipping a stadium crowd into a frenzy. 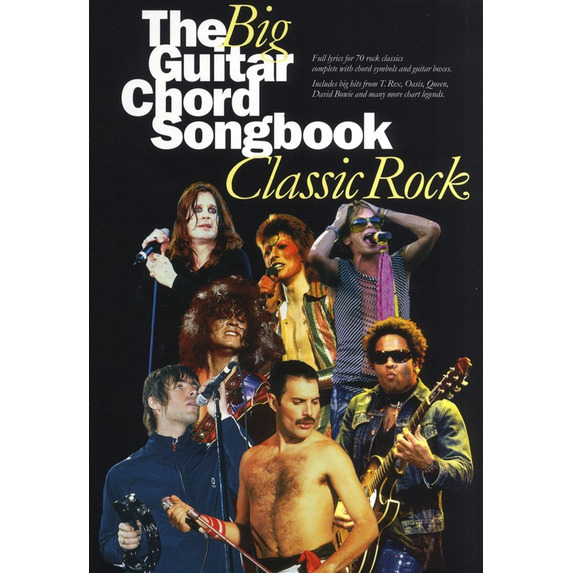 The Big Guitar Chord Songbook is not called Big for no reason, these are the biggest riffs, the biggest drum beats and, yes, the biggest hair, in rock music history. With artists and bands like The Kinks, T. Rex, Queen, David Bowie and Led Zeppelin represented, you know that the absolute classics of Classic Rock are yours for the playing. 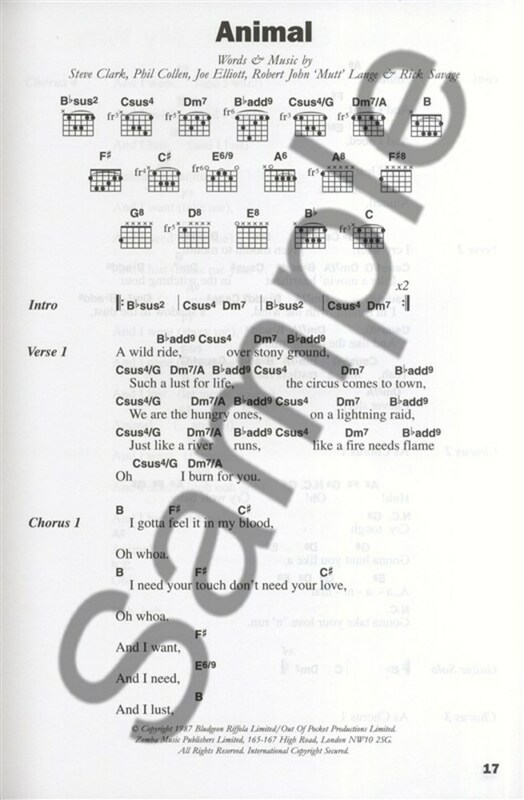 With chord symbols and lyrics, you can start playing and singing straight away, while the chord boxes will help you with any chords you might not be familiar with. The only thing this book can't help you with is your windmills and your power slides! 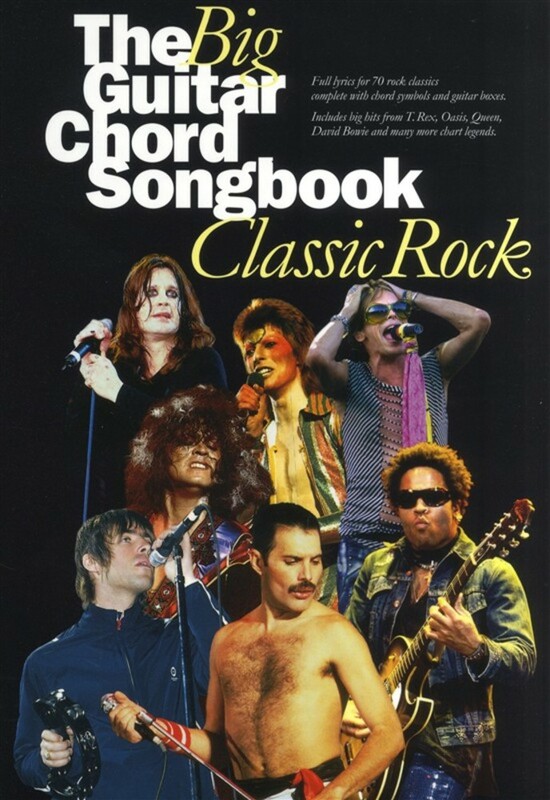 Each and every one of the monumental rock songs included in The Big Guitar Chord Songbook: Classic Rock are the stalwarts of the canon that older generations love and new generations keep coming back to. 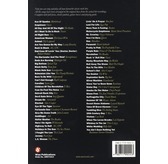 With this rock Guitar song book, you'll be strumming and singing in no time at all, whether it's putting on your best Freddie Mercury impression or following in the huge footsteps of Jimmy Page, this collection will no doubt cause non-stop rocking.